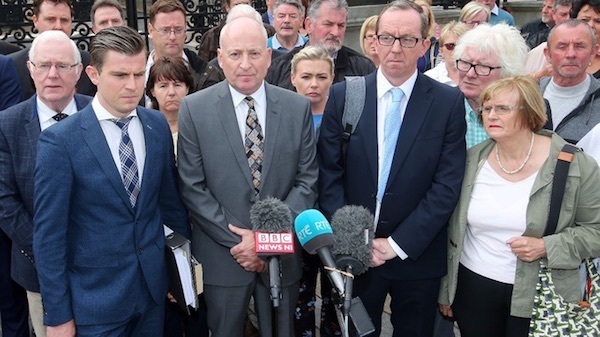 In a dramatic vindication for the grieving families, the High Court in Belfast has accepted that the PSNI wrecked an investigation into collusion by Britain in the notorious Glenanne Gang, which was responsible for killing 130 Catholics. The widow of murdered defence lawyer Pat Finucane has been granted permission to take her bid for a public inquiry into his death to the highest court in England. 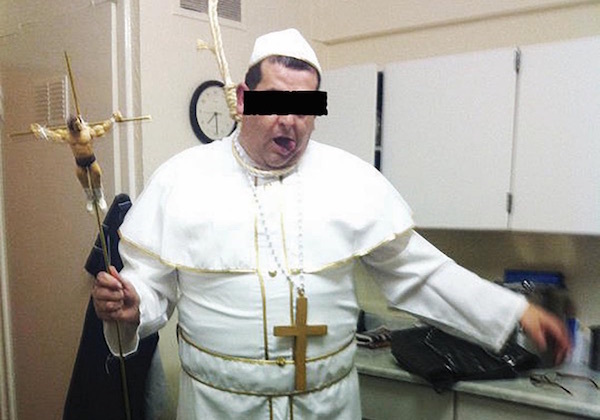 There is a growing media focus on the Orange Order in the north of Ireland after reports that the secretive anti-Catholic organisation has a violent initiation ritual known as ‘riding the goat’, and that its members were told not to use the phrase ‘Rest in Peace’ as it is too Catholic. 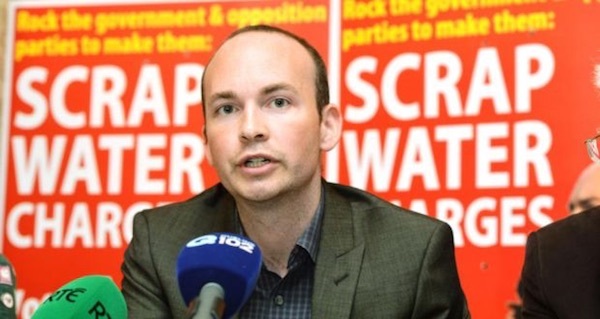 There are indications that the Dublin government may be waking up to the risks involved in reinforcing the partition of Ireland after it rejected the prospect of a new economic border to impose Brexit. 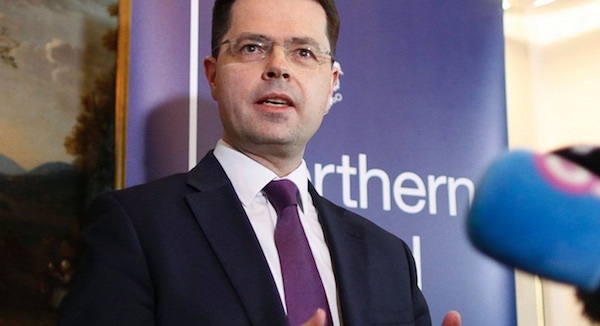 The British government may be planning to supplant the power-sharing Executive at Stormont with the ‘consultative committee’ set up as part of the deal with the Democratic Unionists to prop up the Tory government at Westminster, it has been warned. 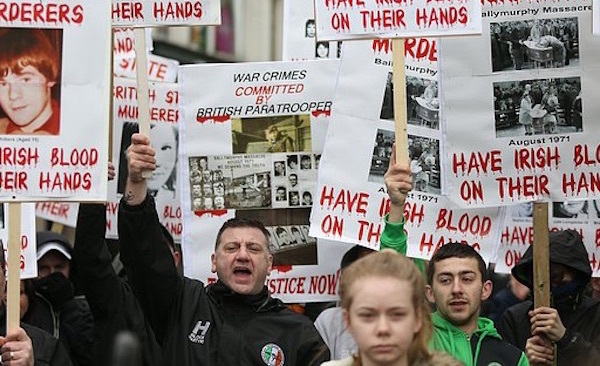 Loyalists marched through a mixed community in south Belfast on Friday night in a show of strength in tribute to notorious UDA paramilitaries linked to a string of sectarian atrocities. 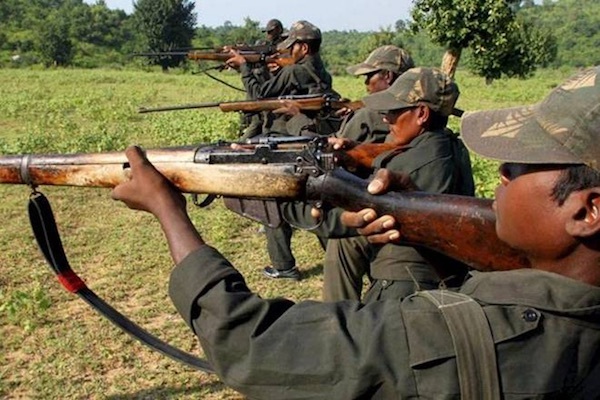 A Tamil widow who says 10 of her relatives were massacred by Sri Lanka’s police in 1986 has lodged a complaint with the Police Ombudsman in the North after links from the RUC (now PSNI) to the country’s security forces emerged. 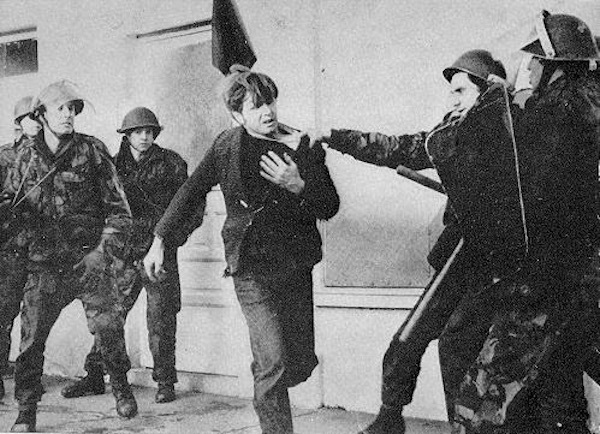 Over the last few months I think we have all noticed the upsurge in IRA membership charges facing Republicans in the 26 Counties, it seems every other day someone is up in the Special Criminal Court. 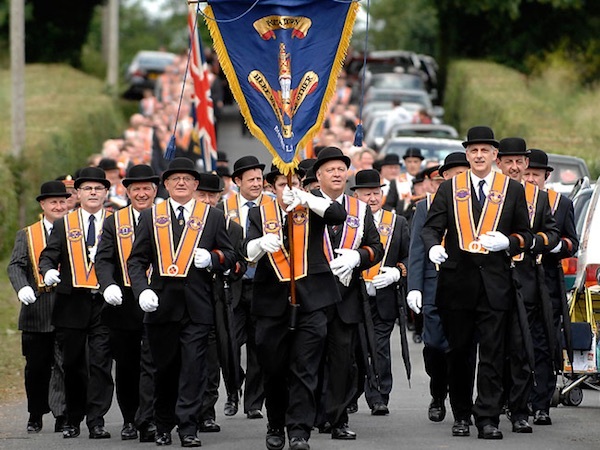 The Orange Order has refused to apologise after photographs emerged of supporters in Scotland wearing bizarre and shocking costumes expressing racist and sectarian hate. 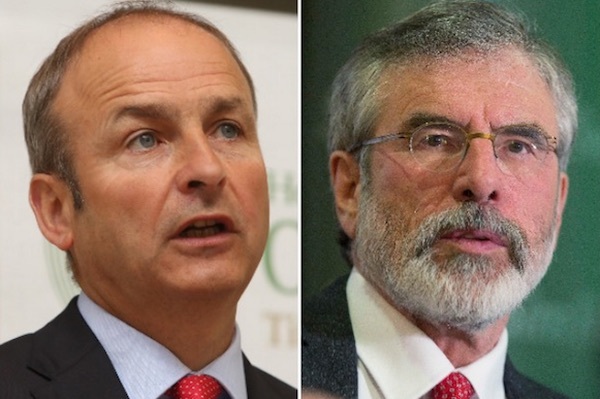 Sinn Fein President Gerry Adams TD has said that Micheal Martin “needs to get serious about a United Ireland” following the Fianna Fail leader’s refusal to support the establishment of a parliamentary committee on Irish Unity. 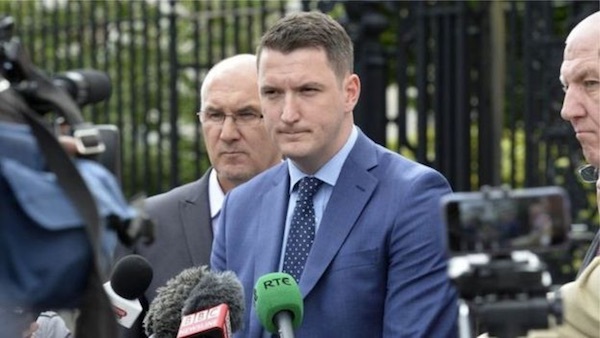 A third attempt to extradite Liam Campbell to Lithuania is being opposed over the nature of the prison conditions in the country. 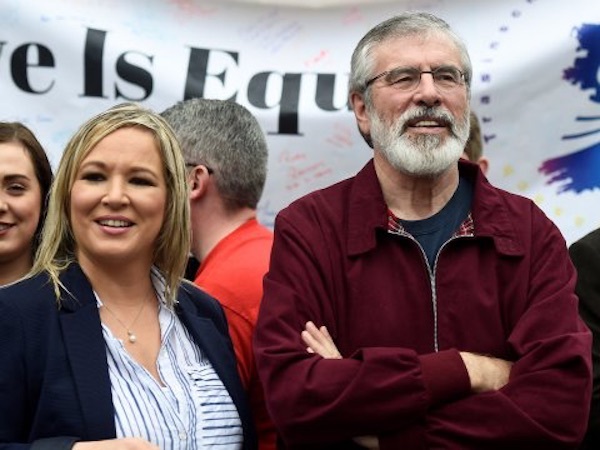 Sinn Fein leader Gerry Adams has launched a legal bid to overturn two historical convictions for attempting to escape from Long Kesh internment camp. 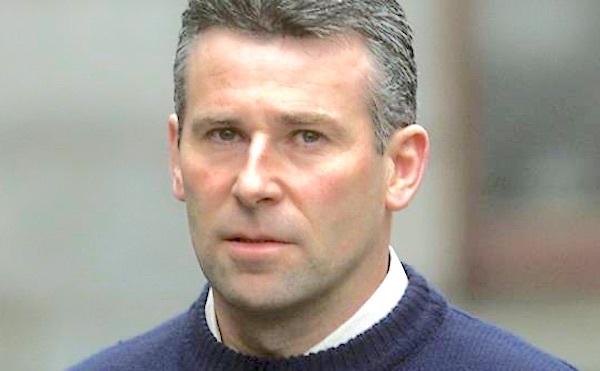 Nationalist and republican groups are coming together this weekend to again demand freedom for imprisoned Irish activist Tony Taylor. 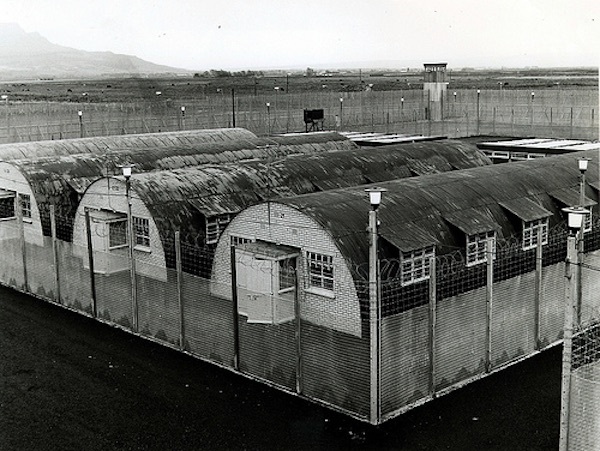 Protests are being organised on behalf of a republican prisoner who is being kept in isolation among the general criminal cohort at Maghaberry jail. 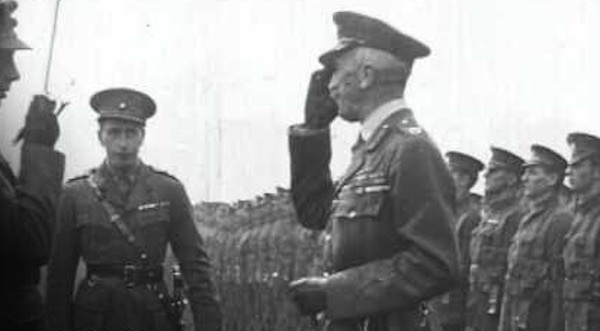 Is radical republicanism making a comeback? 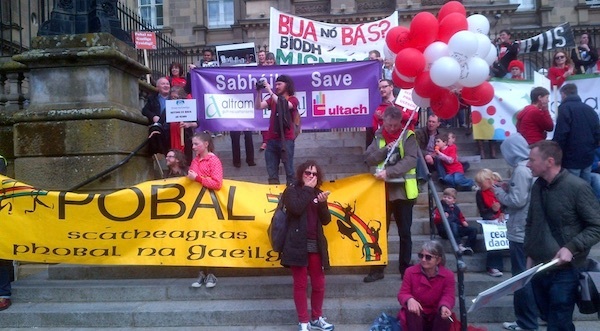 Is the stage now set for the politics that once informed an entire movement in the North to re-emerge? 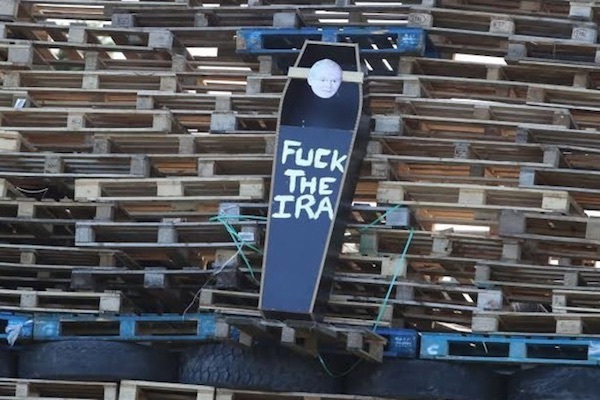 The Democratic Unionist Party has caused a furore by issuing conflicting statements about the burning of a coffin effigy of the late Sinn Fein leader Martin McGuinness on a loyalist bonfire in east Belfast on Tuesday. 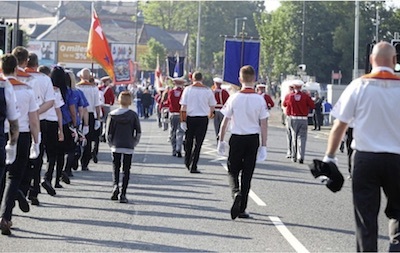 The height of the Protestant marching season passed more quietly than recent years as Orangemen and bandsmen largely respected the rulings of the Parades Commission, which adjudicates on the routes of contentious parades. 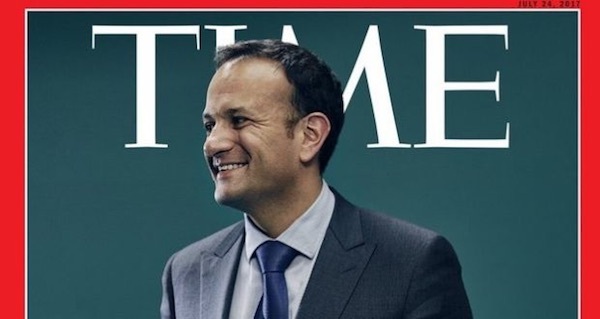 Sinn Fein President Gerry Adams has expressed his surprise at remarks made by Taoiseach Leo Varadkar, during an interview with Time Magazine, in which he says that he is ‘very much opposed’ to a referendum on Irish reunification. 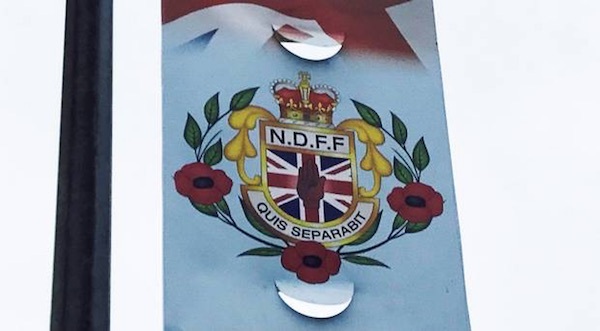 Links between local councils and loyalist paramilitary groups continue to grow with the erection in north Down of banners carrying the motto of infamous UDA death squads. 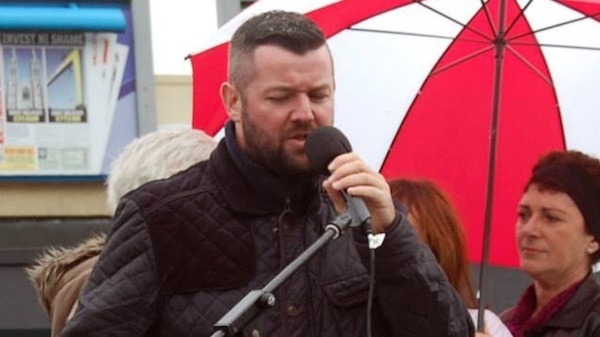 Saoradh, the new republican political party, has alleged that British military intelligence (MI5) has been targeting Irish republicans in County Tyrone, in attempts to recruit British agents and informers. 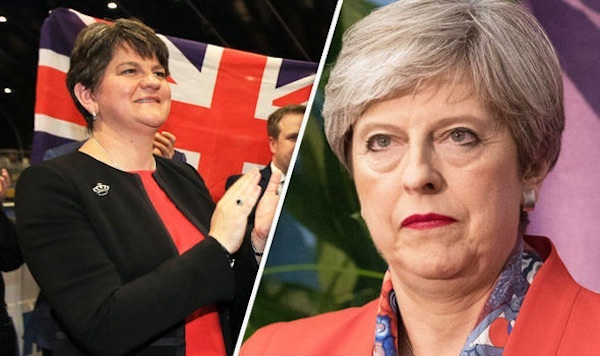 An agreement between unionists and the Conservative Party at the Westminster parliament is set to be challenged in the courts. 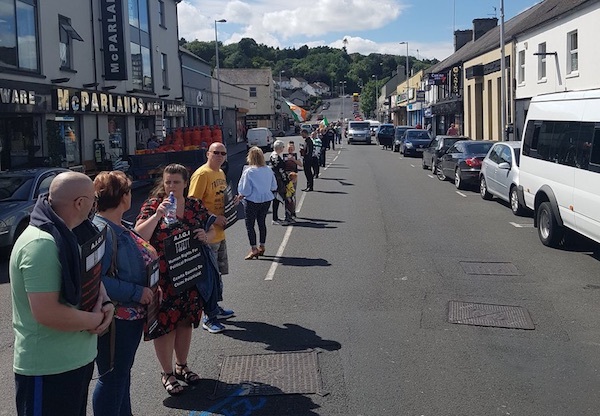 A look at the evolution of internment, from a speech delivered by National PRO of Republican Network for Unity, Nathan Stuart, at a picket organised by the Anti-Internment Group For Ireland (AIGI). It has been a long slow painful process and of course it’s not completed yet. 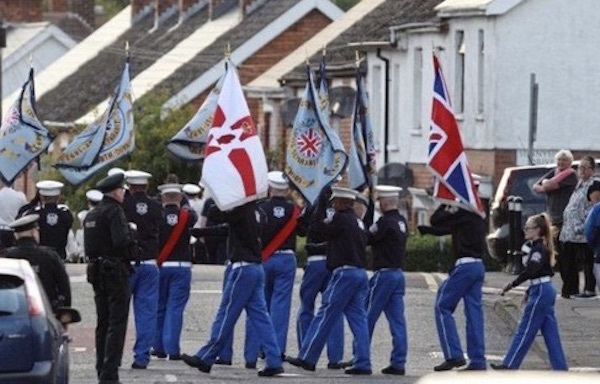 However Orangemen can no longer march where they want or where they aren’t wanted. 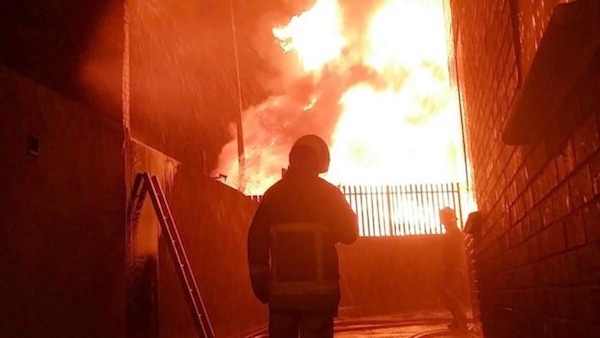 Last night saw an almost 50% increase in bonfire-related emergency callouts since last year as state-funded loyalist ‘Eleventh Night’ blazes damaged property and threatened lives across the North. 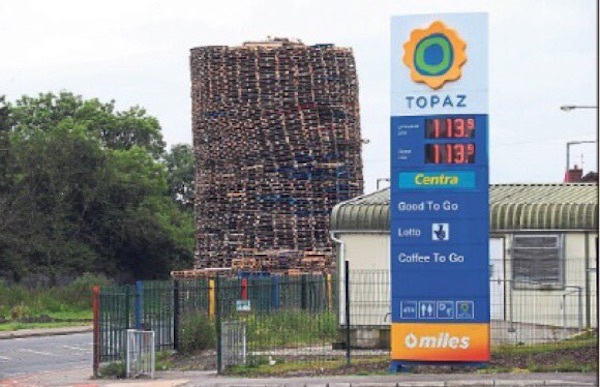 Stung by criticism that it has conspired in loyalist paramilitary crime, Belfast city councillors have now attempted to limit the size of four ‘Eleventh Night’ bonfires, despite having previously funded and supported the infamously sectarian displays. 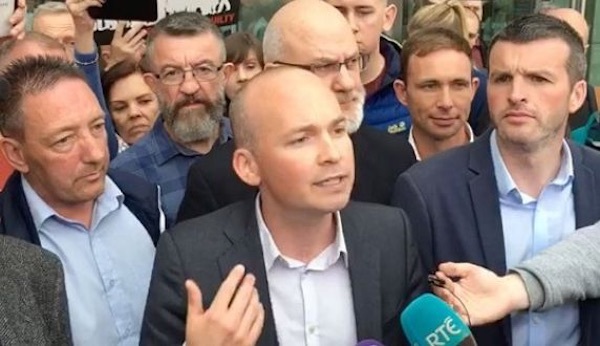 The outcome of the Jobstown trial is causing chaos for the political establishment in Dublin after an attempted frame-up failed to jail a sitting TD and other left-wing activists. 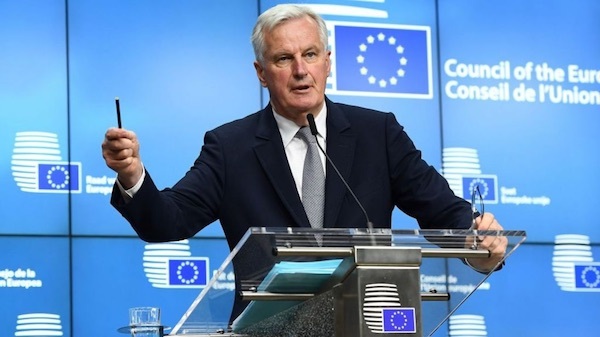 There are concerns that the European Union is ready to sacrifice Ireland in its Brexit negotiations after EU Chief Negotiator Michel Barnier declared that a “frictionless” EU border across Ireland is not possible following Britain’s withdrawal from the EU. 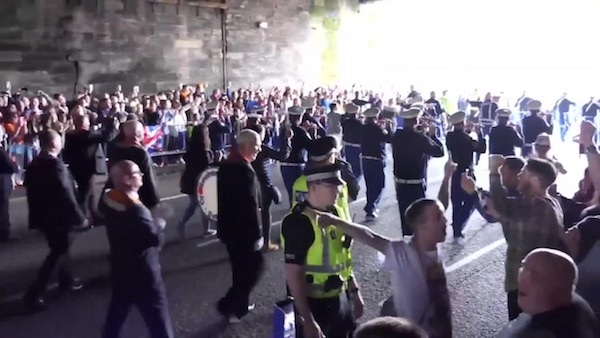 A complete ban on Orange Order marches is being considered in Glasgow, Scotland after council officials examined footage showing a sectarian and racist song being chanted at a parade last weekend. 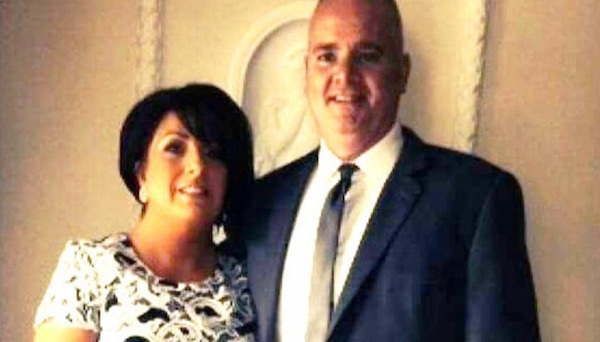 Interned Derry republican Tony Taylor is to sue the British government for wrongful arrest and false imprisonment. 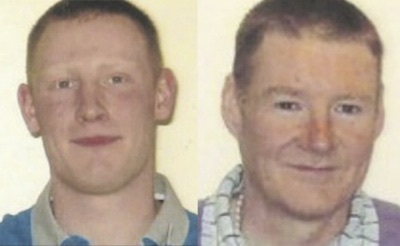 Dublin City Council this week passed a motion calling for the release of Brendan McConville and John Paul Wootton, victims of a miscarriage of justice in March 2009. 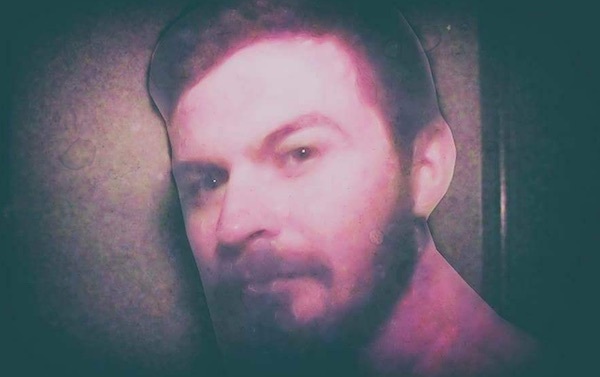 Gavin O’Reilly takes a fresh look at the case. 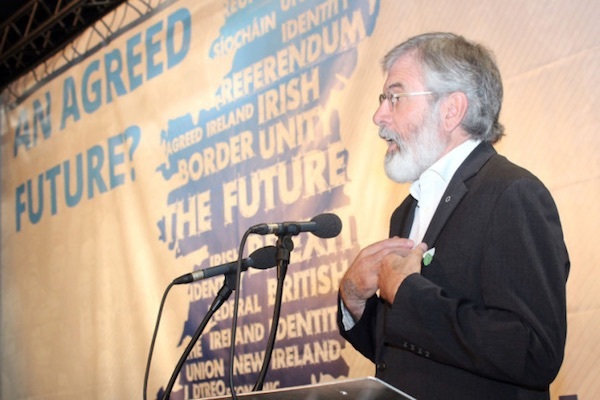 Sinn Fein leader Gerry Adams on the Stormont talks process which collapsed this week. 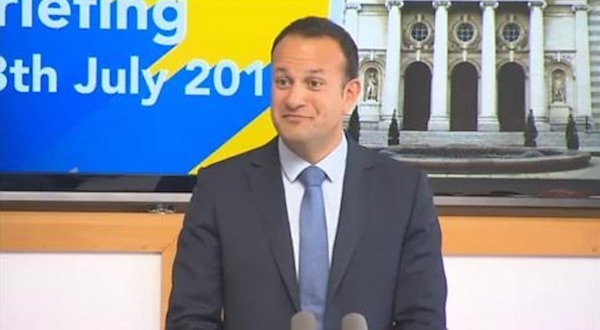 As they say in Belfast, the dogs in the street could see there was no prospect of a deal to restore power-sharing. 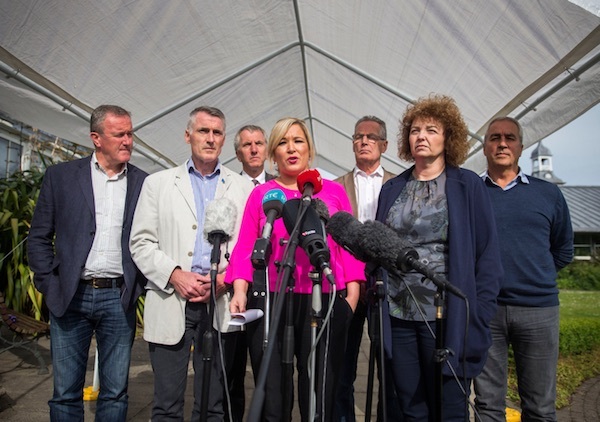 The collapse of talks to revive power-sharing has been described by Sinn Fein’s Michelle O’Neill as a “monumental failure” by British Prime Minister Theresa May who she said had “set back decades of work” in the peace process. 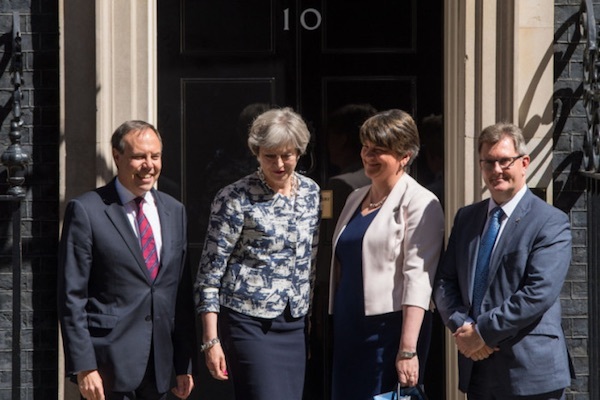 A deal between the Tories and the Democratic Unionist Party could allow the unionist hardliners to control British policy in the north of Ireland for the lifetime of the current Westminster parliament. 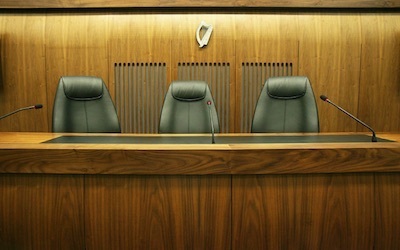 The 26 County political establishment suffered a devastating blow on Thursday when a jury rejected an attempt to jail six political activists on accusations that they had ‘kidnapped’ former Taoiseach Joan Burton and her secretary. Despite a sudden flurry of activity, the Stormont talks passed through another British-imposed deadline on Thursday, the fourth this year. 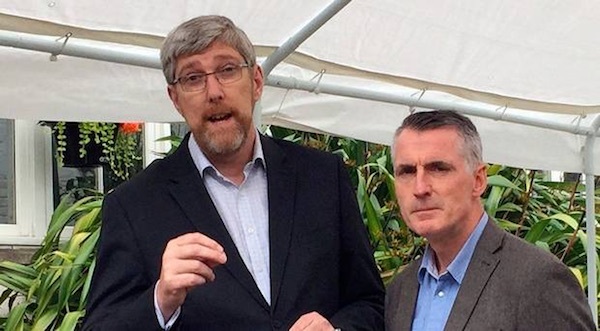 The DUP has immediately rejected a renewed Sinn Fein campaign to convince unionists of the merits of a united Ireland. 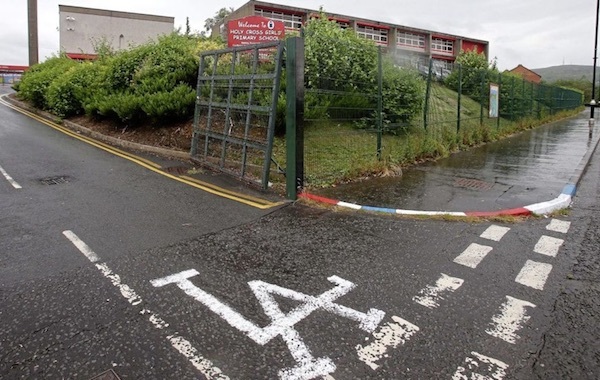 Loyalists have renewed sectarian intimidation at the Holy Cross Catholic Girls School in the Ardoyne district of Belfast by painting red, white and blue paint on kerbstones and the letters ‘LA’ at the entrance. 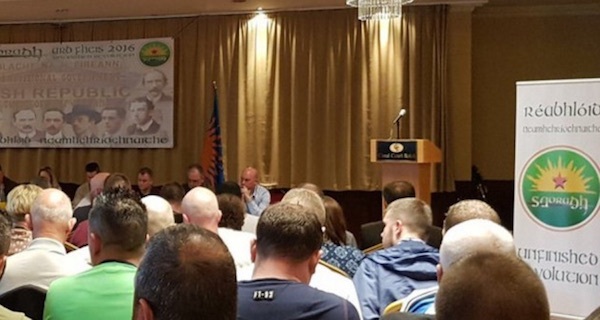 Saoradh, the Irish republican party formed last September, has experienced a serious split with the resignation of 23 members from its Belfast branch. 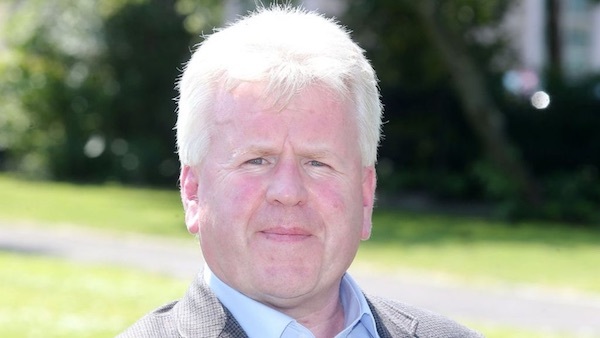 To the surprise of no-one the Stormont talks foundered on the DUP's adamantine refusal to concede an Acht na Gaelige.